There's No Place Like Home: I Need Buddy the Elf! All my Christmas stuff got pulled down from the attic! Thanks to my dad and Marcus. But now, I have this mess, ALL OVER MY HOUSE. And I know for some of you, it is a great sin to be decorating for Christmas this early, but it takes me forever to get it all up, so I need to make it worth my while. And LOOK! I got a pink tree off Craigslist! All these colors make me happy. I can't wait to see what it looks like all put together! That's why I need Buddy the Elf! Remember how quickly he decorated the department store and his dad's apartment? I need an Elf! Katie on the other hand, decorated her tree super fast! She was begging to "help" me all day, so I gave her this project. If I was one of those really good moms, I would leave it like this. Honestly, I'm just not that kind of a mom. 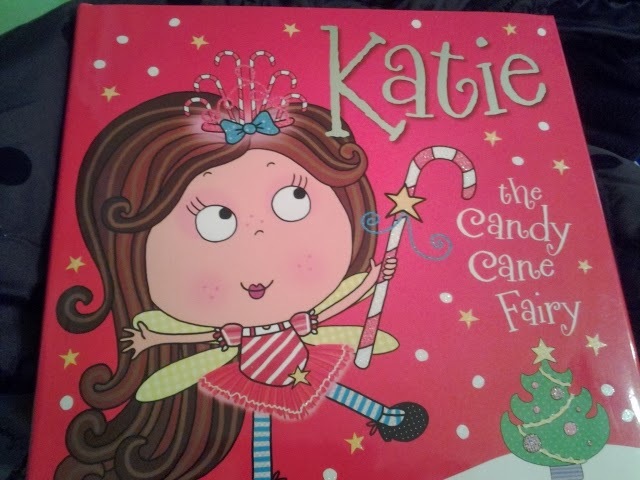 BUT, I did get Katie this cute book at Sam's today. So that makes up for being a little controlling with my Christmas trees, right? Hopefully this candy cane fairy chick will show up during the night and decorate my house...and do some laundry and dishes too! Is it that time of year again? It seems like just yesterday that I was telling you how crazy you are with all that Christmas stuff!!! :) I always looks forward to seeing your reveal post! Have fun! I LOVEEEEEE the pink tree!! I can't wait to see pictures once you get everything put together! Cannot wait to see what you do! I love your style. When that fairy shows up, please have a trap ready so you can send her to my house. I promise to release her back to her natural habitat when she's done. We are hosting thanksgiving so I'm really torn about when to start decorating. Olivia's birthday is 2 days after thanksgiving so that weekend is out. And we put up 6 trees AND its a new house so I'm not sure where everything will go! When you and Staci are done with the elf,please send him to my house!! 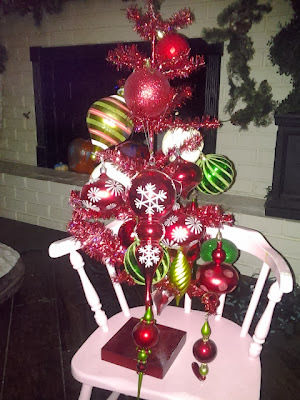 I am so excited about decorating for Christmas!!! I'm going to start decorating this weekend. 12 trees. But if I don't start now, I'll never get it all done. And I have to, because I'm having a get-together at my house in two weeks for my girlfriends. Ack! Not enough time!